Opened 1870 or 1873. Demolished in the 1940s. 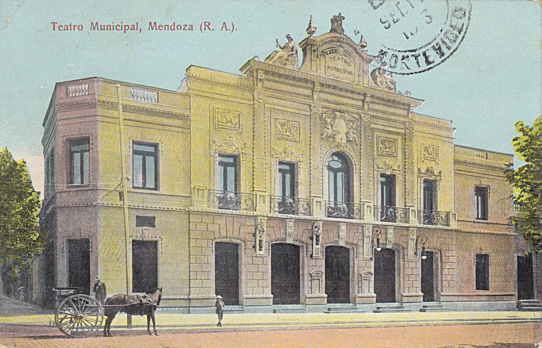 Front Text: "Teatro Municipal, Mendoza (R. A.)"